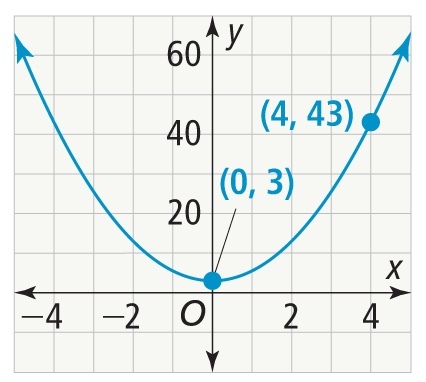 yuyEssential Question: What is the quadratic parent funciton and how can you recognize the key features of its graph? Lesson Goal: I can identify key features of the graph of the quadratic parent function. How does the value of a in the function affect its graph when compared to the graph of the quadratic parent function? A. There is no change. Based of the image above. find the average rate of change over the interval 𝟢 ≤ 𝘹 ≤ 𝟦. What does the average rate of change tell you about the function? At the end of the lesson or question 5, I can say that I am able to identify the key features of the graph of a the quadratic parent function. B. No, I didn't understand the topic to well.